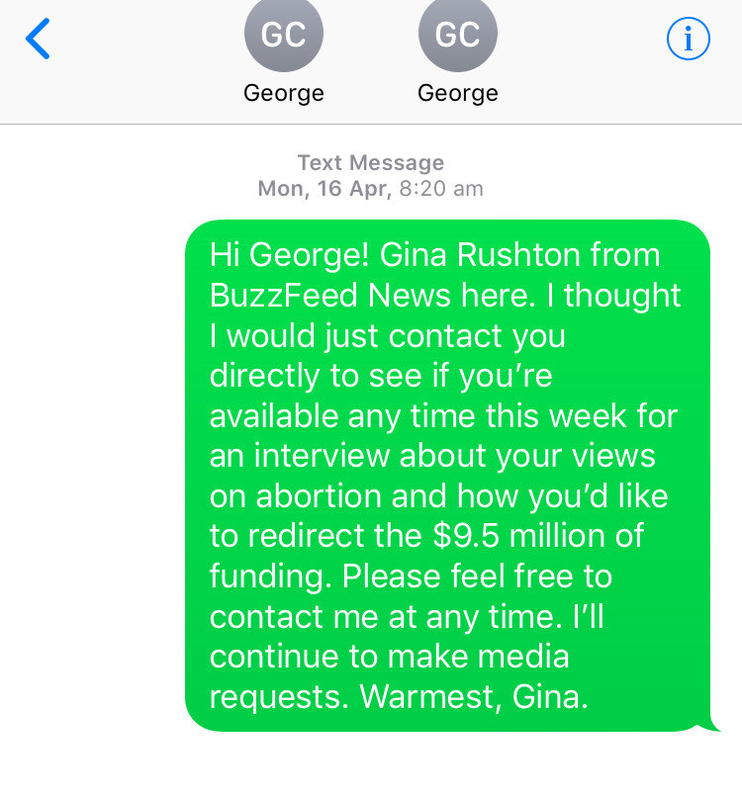 Nationals MP George Christensen last month attended an anti-abortion rally, wrote to the treasurer, and made social media posts calling for millions of dollars in Australia's foreign aid budget to be allocated to pregnancy counselling for Australian women. Christensen wrote to treasurer Scott Morrison to ask that $9.5 million allocated to an international family planning organisation be redirected to pregnancy counselling services for young Australian mothers. At an anti-abortion rally in Queensland he encouraged the crowd to take action against that state's government, which is set to reintroduce legislation to decriminalise abortion once it receives recommendations from the Law Reform Commission. “I think we’re about to get a tsunami of bad laws here,” he said. I had a lot of questions about Christensen's claims, so I made multiple requests with his media adviser Lynnis Bonanno, who repeatedly told me that Christensen "stands by his Facebook comments" but would "not be commenting further". 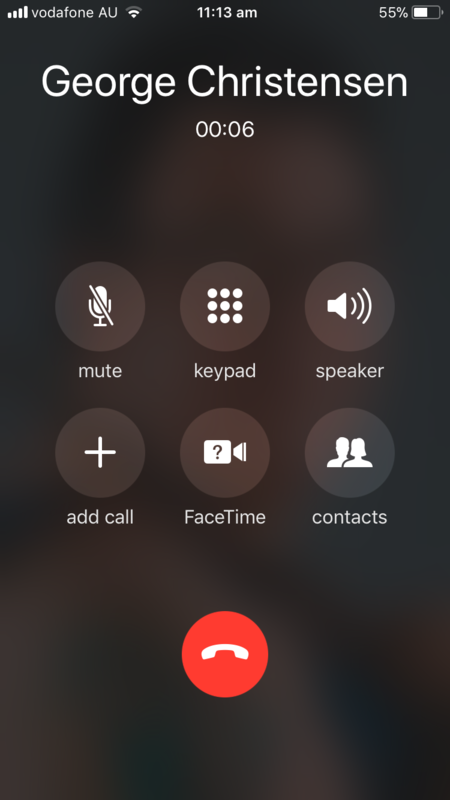 After weeks of back and forth I decided to call and text Christensen myself. 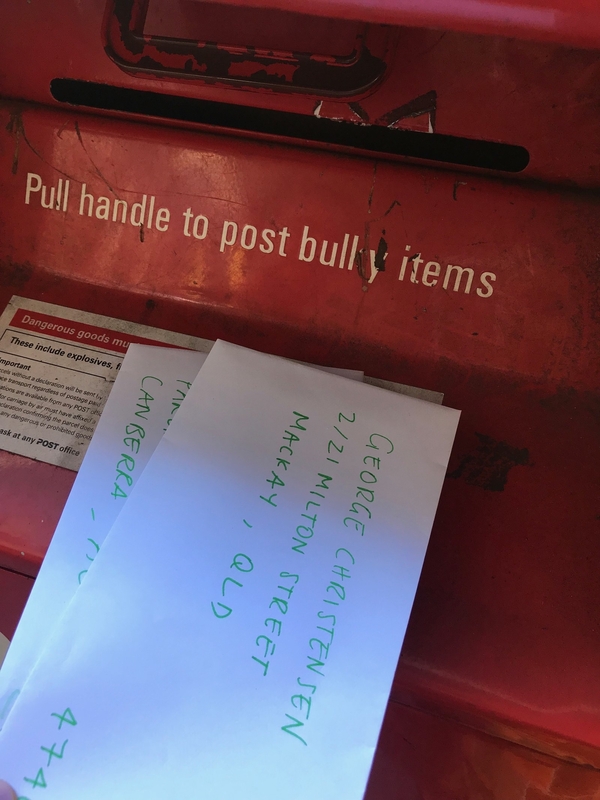 But I had no luck so I sent letters to his electorate and parliamentary offices. 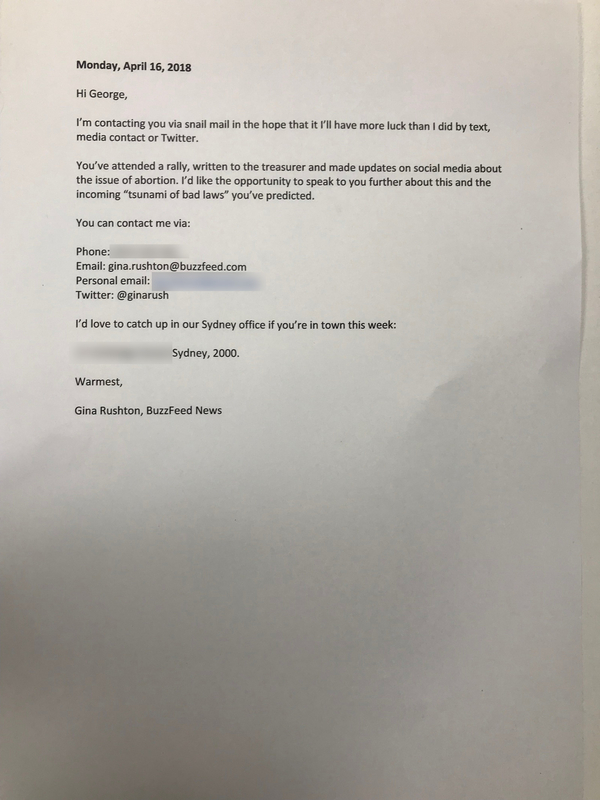 I tried to fax with BuzzFeed's printer but I had no idea how to connect it to the landline because I'm a millennial, so I used a website which sends faxes for you (the future truly is here) and sent faxes to both his offices asking for a chat. Anyway, he never responded so I've fact-checked his comments without him. First things first, what is the $9.5 million Christensen is referring to? In February 2017, foreign minister Julie Bishop announced the Australian government would continue its partnership with the International Planned Parenthood Federation (IPPF) to deliver the Sexual and Reproductive Health Program in Crisis and Post Crisis Settings, referred to as SPRINT, in the Indo-Pacific region. The Pacific faces some of the highest levels of unmet need for family planning services in the world compared to countries of comparable levels of development and, against the global trend, is experiencing increasing adolescent birth rates in many countries. So are these millions of dollars mostly used to provide abortions? SPRINT provides safer environments for women to give birth, HIV prevention, family planning services, prevention of sexual violence, and assistance to survivors of violence. As of December 31, 2017, it had responded to 67 humanitarian crises, supporting 95 countries and reaching over 1,018,253 people with crucial services during earthquakes in PNG, Tropical Cyclone Gita in Tonga, volcanic eruption in Vanuatu, floods and landslides in Sri Lanka and Nepal, and displacement of people due to conflict in Afghanistan, Pakistan, Syria, Yemen, Uganda and Niger. "The majority of the support we give in a crisis is to provide antenatal care to pregnant women and helping them get referrals if they are in labour; counselling and support for women subjected to gender-based violence; and providing women with family planning access," the head of the Australian office of IPPF, Johanna Wicks, told BuzzFeed News. Wicks invited Christensen to visit some of the IPPF's member associations delivering SPRINT in the region. "To correct Mr Christensen, barely any of the funding goes towards abortion as we can only provide safe access to abortion in countries where it is legal, but there aren't many countries in our region where it is [legal]," she said. "We do sometimes also provide post-abortion care to a client who has come to us after an unsafe abortion in a country where it is illegal. "Without the Australian government's support a lot of men and women would miss out on these services, which in a crisis can be life saving, like getting women in labor to emergency care during a complicated pregnancy." Plan International Australia chief executive Susanne Legena, whose organisation helps deliver SPRINT, said improved access to sexual and reproductive health care extended far beyond health and reducing unintended pregnancies, particularly among teenage girls. "In South Sudan, a girl is three times more likely to die in childbirth than she is to finish her education," Legena told BuzzFeed News. "Child marriage usually goes hand in hand with early pregnancy, which is the leading cause of death of girls aged 15 to 19 worldwide." OK, but funding counselling for pregnant women in Australia sounds like a great idea. It does, and we already have it. Not all of our politicians seem to be aware of this however. Christensen's comments echoed those made by One Nation turned independent senator Fraser Anning in February, when he called on the federal government to fund counselling for women "in relation to pregnancy terminations" despite the fact counselling already exists. All Australians accessing abortion services in the public or private system are offered counselling, which may go a way to explaining why the motion – which said mothers should be informed of the risks of abortion and alternatives "such as adoption" – was voted down 24 to 14. All women who are having an abortion in the public or private system are given information about the procedure itself, anaesthesia options for a surgical termination of pregnancy, and pre- and post-abortion care. They may also utilise counselling about alternatives (such as adoption and foster care), including access to support services that are available if a woman wishes to continue with the pregnancy. There is also a free, national, confidential information and counselling hotline for women, their partners, and families relating to issues of conception, pregnancy, birthing, and postnatal care. In some Australian states, counselling before an abortion is actually compulsory. In Western Australia, for example, a woman must have "informed consent" before terminating a pregnancy. This is defined as a medical practitioner – other than one performing or assisting with the abortion – providing counselling to the woman about medical risk of continuing the pregnancy, and she must be offered the opportunity of referral for counselling prior to, and following, a pregnancy termination, or carrying a pregnancy to term. A parental notification clause means women under 16 years of age need to have one parent informed, and be given the opportunity to participate in counselling before an abortion can be performed in WA. Michelle Thompson, the chief executive of Marie Stopes International Australia, the nation's biggest provider of termination services, said women should always have access to counselling services. "However, making counselling compulsory assumes that the woman does not have the ability to make her decision autonomously," Thompson told BuzzFeed News. "The type of counselling proposed by George Christensen looks to be modelled on mandatory counselling in the United States. This type of mandatory counselling is not trauma-informed and is driven more by ideological interests than clinical care." Is the Australian government listening to Christensen on this? "The Australian Government remains committed to supporting access to sexual and reproductive health services which saves lives, supports better health and education outcomes and enables men and women to participate equally in economic and social activity," a Department of Foreign Affairs and Trade spokesperson told BuzzFeed News on Thursday. At the time defence minister Marise Payne, speaking on behalf of foreign minister Julie Bishop, said there were no plans to stop funding these "vital" sexual and reproductive health programs. Greens senator Janet Rice, who asked Payne whether the government would cut aid after Christensen's comments, said Australia should not "follow Trump-style policies of cuts to aid and women's reproductive health programs". “George Christensen’s push to cut foreign aid for family planning belongs in the dark ages, not in our parliament today," Rice told BuzzFeed News. "It’s outrageous that he’s willing to put the health, safety and family planning choices of women in the firing line, to serve his own backwards ideological agenda."